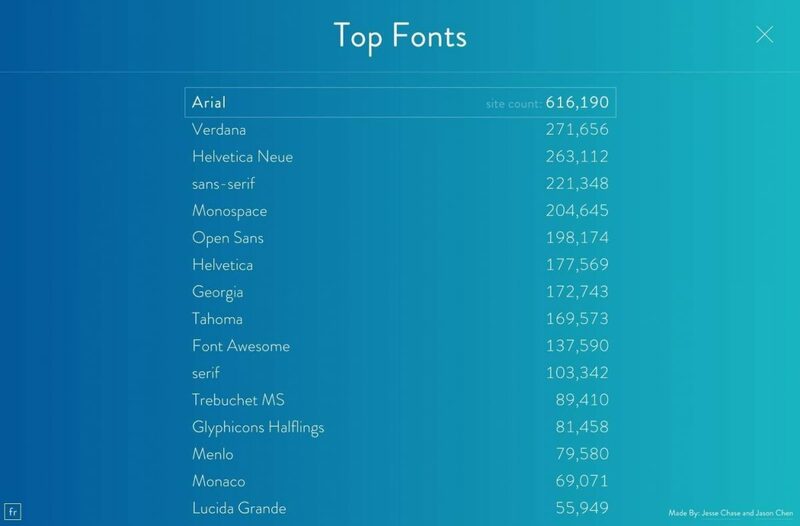 Whilst trawling the web last night, I came across this amazing font related website, called: FontReach, which ‘simply’ scans the top million websites to show how fonts are used across the internet. Website Design and developed by Jesse Chase and Jason Chen, who deserve epic Kudos for a fantastic idea well implemented. I initially tweeted it, and quickly saw how many times it had been liked and RT’d, which is a good indicator of how popular it could be. FontReach is a gorgeously designed website, not to mention really quite interesting, AND useful, to play around with. 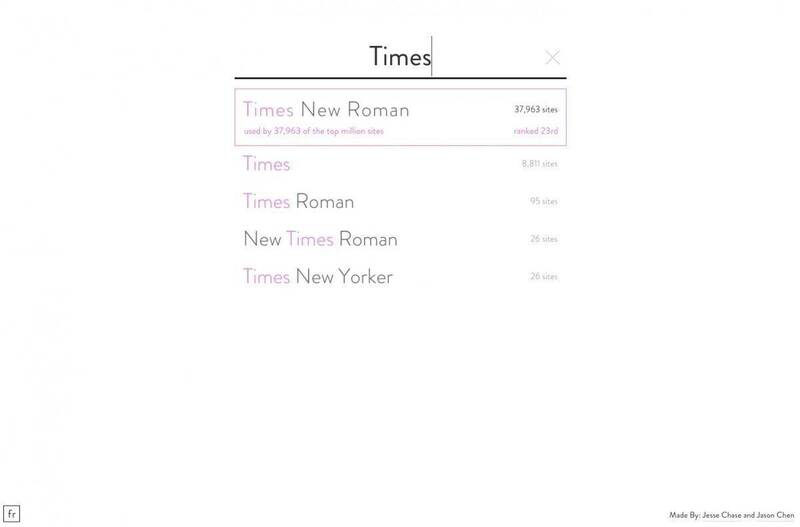 It actually does provide good insight into how popular and widespread, or not, certain fonts are. 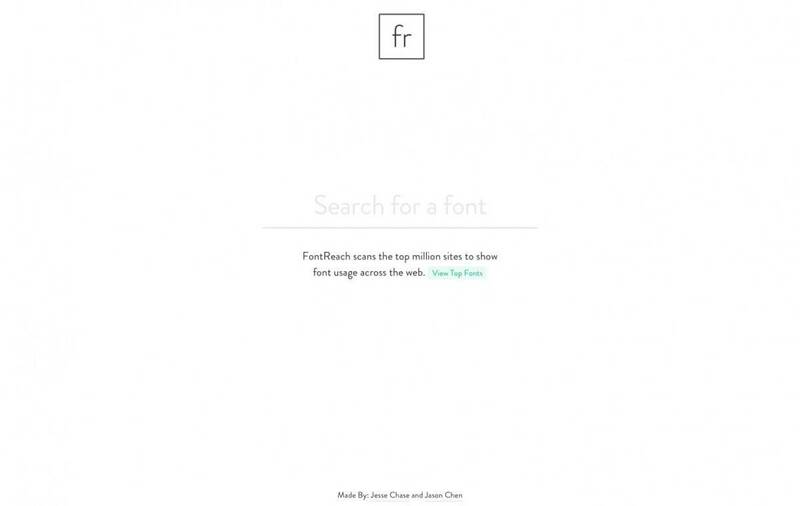 As a web designer, looking to decide which fonts to use for a website design, FontReach could be a pretty useful tool. 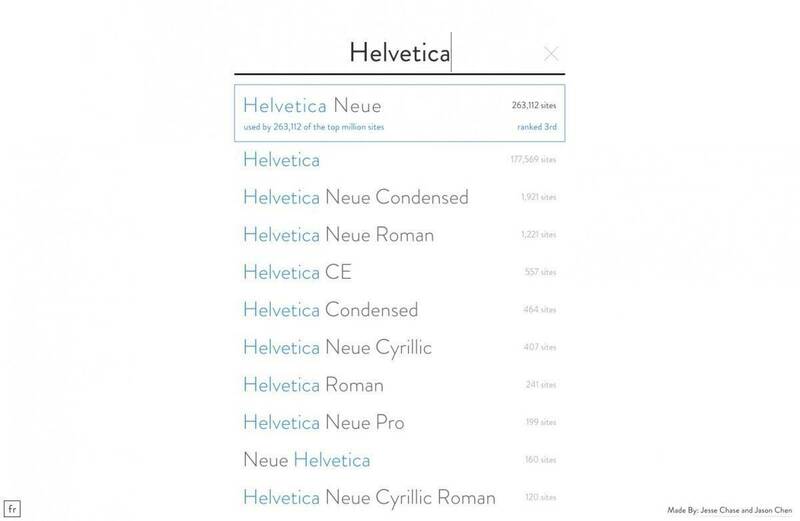 Being able to consider a more varied choice of web fonts, not to mention being provided with names of other fonts you might have known about before. 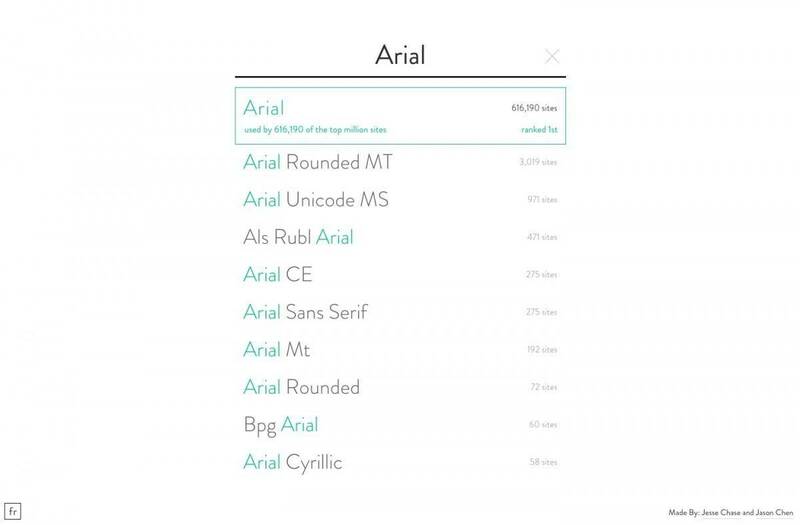 I did a few basic font searches, and the top results are not really all that surprising, with Arial (below) coming in ranked number 1. What I like is seeing how the many variations of a certain font are also used, so you get the whole picture based on a certain type family, rather than just the main ‘parent’ name. 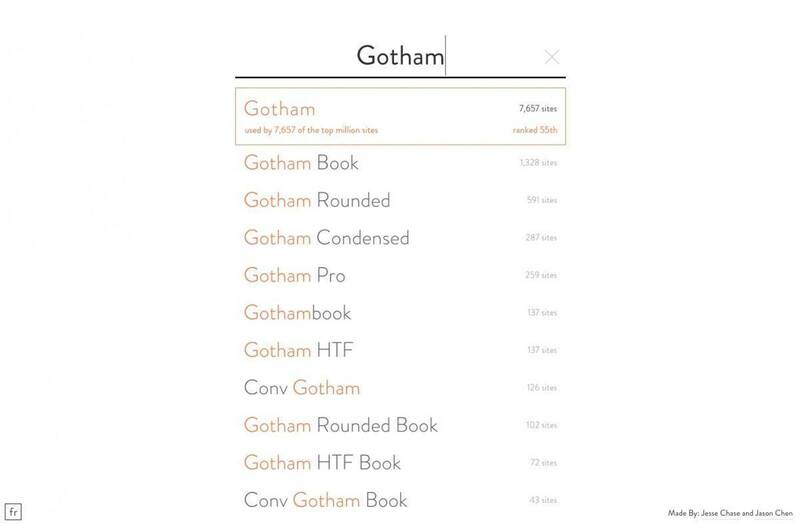 I also did a quick search for Helvetica (ranked 3rd), Times (ranked 23rd), and Gotham (ranked 55th) and Comic Sans (ranked 84th). 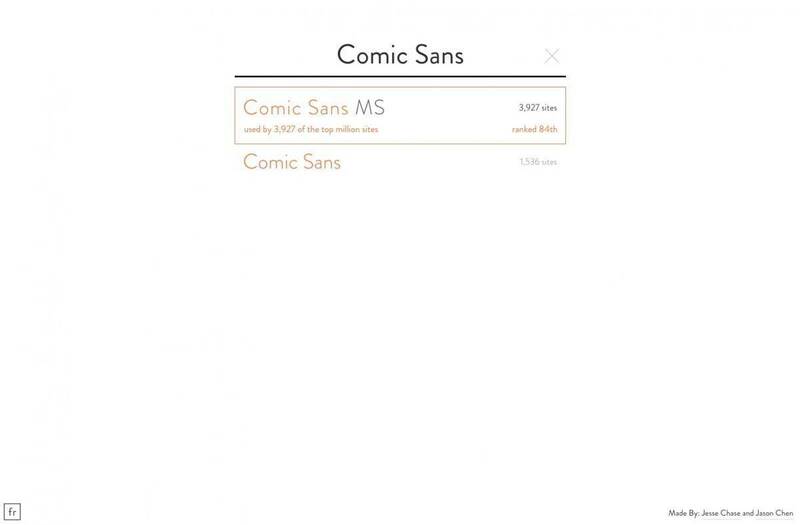 Shouldn’t be surprised, or shocked, to see how often Comic Sans has been used as a font in a website design, but I still am.